This is our Lemongrass Steam Distilled Essential Oil. Herbal Folk Traditional uses for Lemongrass include fever, central nervous system sedative, flavoring, insecticide, infections and illness. Lemongrass Essential Oil is used in aromatherapy, cosmetics, fragrance, natural perfumery and soap! It has a lemony, fresh, strong, citrus-like, herbaceous, grassy scent with a delicate and distinct sweetness. Lemongrass Essential Oil blends well with Basil, Bergamot, Black Pepper, Cedarwood, Citronella, Clary Sage, Coriander, Cypress, Fennel, Geranium, Ginger, Grapefruit, Jasmine, Juniper, Lavender, Lemon, Lime, Marjoram, Neroli, Niaouli, Orange, Palmarosa, Patchouli, Pine, Rosemary, Tea-Tree, Thyme, Vetiver, Yarrow and Ylang Ylang. Lemongrass Essential Oil is valuable for skin care, circulation, muscles and joints, aiding digestion, building the immune system and sedating the nervous system. 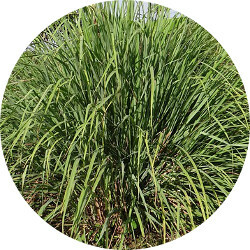 Lemongrass Essential Oil has the following actions: analgesic, antidepressant, antimicrobial, antioxidant, antipyretic, antiseptic, astringent. bactericidal, carminative, deodorant, febrifuge, fungicidal, galactagogue, insecticidal, nervine, sedative and tonic. This Essential Oil is authentic and natural. To the best of our knowledge it does not contain any artificial ingredients or adulterants of any kind. The analysis and statements are derived from the most complete information available to Alive & Well. This oil is guaranteed by Alive & Well to be of excellent quality. 1/2 ounce/14.79 mililiters. Bottled in brown glass. Shelf life is 2 years or more.